The disclaimer and the defense. What has she done? Nothing to begin with. She lobbied for a Cabinet post, got it and did nothing. She vowed to cooperate with the President but didn't. Attendant to the responsibility of being a Cabinet member is to stick to the policies laid down by the President. Yet she disagreed with the President in the manner in which the drug war is being conducted and the Marcos burial. As the President stated last night, the final straw came when she attended a anti-Marcos burial rally where calls for the ouster of Duterte were made. In her mind, she thought of herself as co-equal to the President. She's not. As a lawyer, she should be very familiar with the constitutional provisions on the duties and responsibilities of the Vice-President. There is no stipulation that she is entitled to a Cabinet post. She serves at the pleasure of the President and is bound to toe the administration line. Why does she deserve the vilification and pillory? Because she also employs the same tactics against the President. She has sold herself short to the public using the death of her husband and his track record as her track record as well. If she won the Vice-Presidency without any fraud being committed, do you think Marcos would've been idiotic enough to file an electoral protest like Mar Roxas did against Binay? 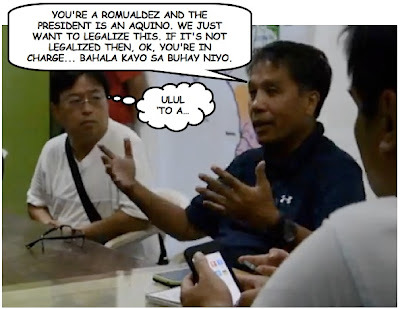 Make no mistake about it Robredo is not a political virgin. Her face is thick enough to criticize the President in public and still sit in at Cabinet meetings as if she didn't do anything wrong. This is why she deserves the vitriol the public has been throwing at her. RG San Luis as posted on Facebook. The country and the vice presidency ought to be exorcised of Leni ROBredo once-and-for all. 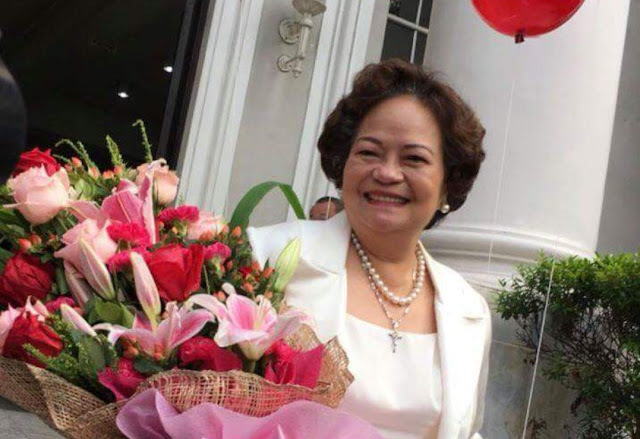 Aside from joining the loud, vitriolic, vindictive detractors in their endless attempts at destabilizing the Duterte presidency, she is just occupying space in government--and getting paid for it. Classic white elephant. Yes she's somehow a nuisance.. Run for a post just to make her self a headache to the administration making nonsense etc. What else can we about her? 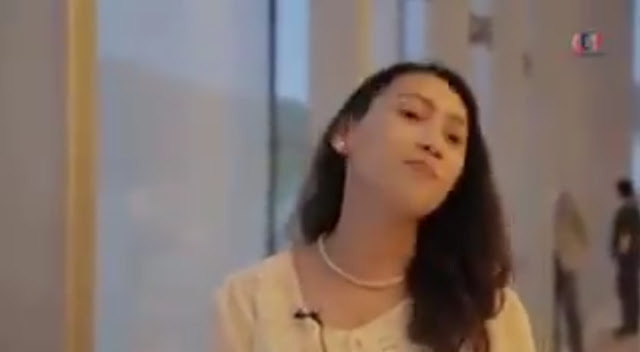 She's good in pretending and lieng appearing to the public looking like she's is the right one?Haha dream on madame..